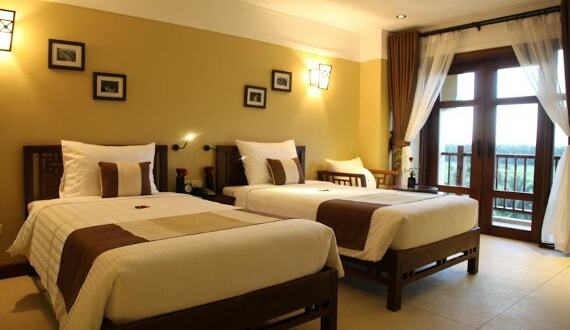 If tourists would like to sightsee and feel Hoi An, Essence Hoi An Hotel & Spa is the most perfect choice. Because it is just distant the city center about 0,5 km, you can come airport within 35 minutes. In addition, tourists in this hotel are able to also stroll around for visiting the top of attractive destinations in city such as Cam Pho temple, Old house of Tan Ky. This hotel provides the perfect services as well as the wonderful luxurious facilities in order to satisfy all tourists even the most demanding people. To make sure tourists feel as comfortable as possible, hotel offers souvenir shop, smoking room, check-in and check-out, beauty service, 24 hour front desk. The hotel also pay attention special to equip full of facilities so that tourists feel as comfortable and convenient as possible. Some of rooms are equipped the extra television, refrigerator, LCD or Plasma television, DVD/CD, wired internet access (free). Whether you want to take part in the interesting activities or just want to relax after a busy working day, it is extremely comfortable for you to use recreational facilities there: children’s play area, sauna, massage, gym, golf course (within 3km). 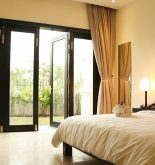 In short, Essence Hoi An Hotel & Spa is an ideal place so that tourists rest and seek comfort and convenience in Hoi An. 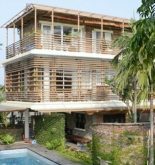 Address: 132 Hung Vuong St, Hoi An, Quang Nam, Vietnam. This information has been supplied by Essence Hoi An Hotel & Spa.